Jack Drumm is an Englishman stranded in the Arizona desert, armed only with his valet, commode and sense of honour. But what use are they when faced with a band of Apaches…or a beautiful woman...? Konrad, Lila, and Gusty try to persuade him. It is a suicidal enterprise. But what the hell! They say blood is thicker than water. 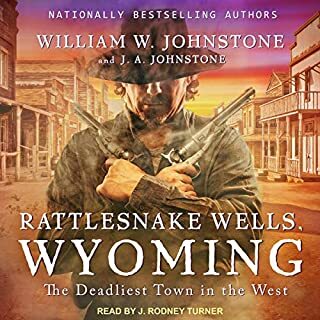 The group of four wade through a crimson tide as they ride the dark trail and do battle with bounty hunters, Cheyenne warriors, crooked lawmen, and outlaws. No one can foretell which of them will survive, if any. 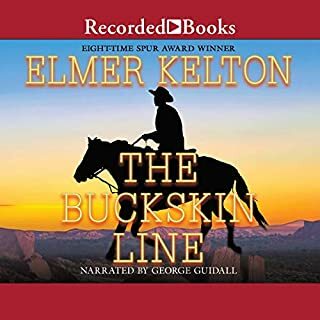 This book has a great western story that keeps you entertained the whole ride. The story has plenty of action and keep you listening. It felt like a genuine western story. 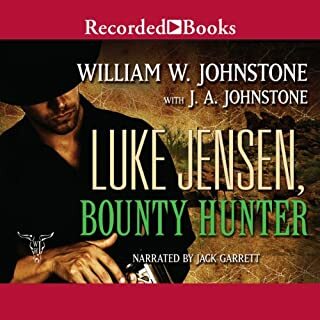 The narrator is a perfect fit and conveyed the old West feeling of the story. I enjoyed it and recommend a listen. 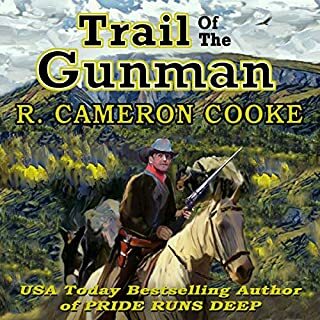 This is an enjoyable, action filled western story, set after the civil war. A school teacher, his sister, a young man looking for his kidnapped friend, and a scarred ex-soldier, form a friendship as they help each other fight the bad guys. The narrator, J Scott Bennett’s voice fits this story so well. He gave the characters their own voice and made you feel like you were in a western. This is a well written, enjoyable story and I would happily listen to others by this author. This is a great western story. We enjoyed the story line. We would read other books by this author. The ending left a little to your imagination. The narration is excellent. We always enjoy listening to J Scott Bennett. He does a great job with the characters. We have listened to other books by J Scott Bennett and enjoyed all of them. 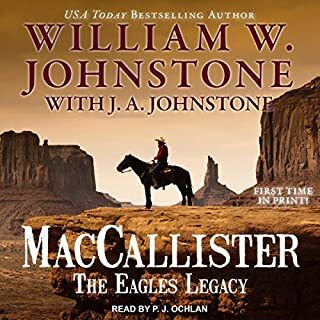 Set in the times after the civil war, this is a very well written story about a soldier, turned school teacher who gets on the wrong side of a bad guy. In his pursuit to avoid problems, he comes across more problems that all circle back to the original. This author is a good one. He has well developed characters, and his descriptions are so good that I felt that I could actually SEE what he was 'seeing'. This is the first book I have read from Philip McCormac, but, I don't think it will be the last. I listened to the audiobook version of this book and Scott Bennett is one of my favorite narrators to listen to. He is an excellent story teller and he seems to BE each character he is reading. It is always a pleasure to listen to Scott Bennett's work. If you like westerns, this is the one for you. Plenty of action and shooting. J. Scott Bennett did a super job narrating it! 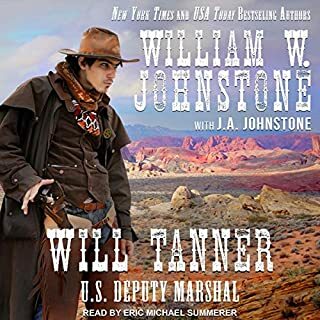 Both the excellent writing and narration combine to make this exciting western tale very enjoyable. The voice of the narrator is perfectly matched to this story. You cannot help but enjoy it. I got this ARC via audiobook boom and this is my voluntary review. 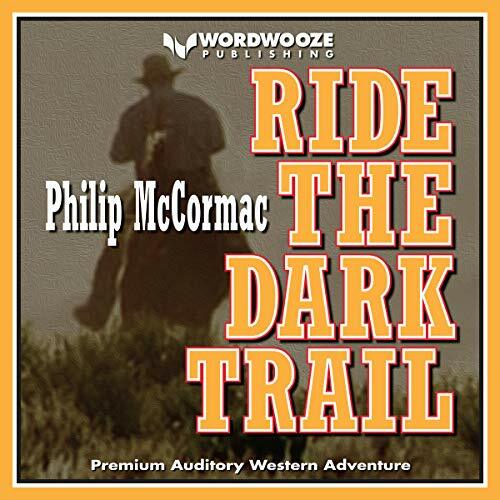 This was a great western with a great narrator. The story is filled with details, twists, and turns that made the story a great listen.